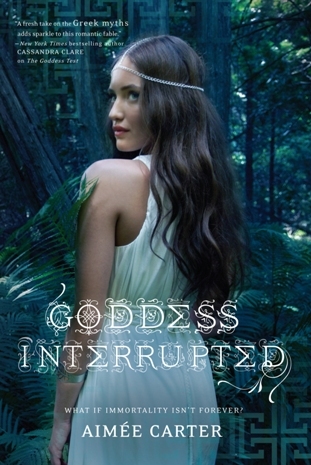 Goddess Interrupted by Aimee Carter is the sequel to The Goddess Test. If you haven't read The Goddess Test yet do not read this review. Instead go to the store and buy the book now!! 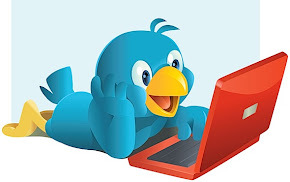 Another hint- there is a e-novella called The Goddess Hunt that takes place between the books. It's not neccessary to read it before reading Goddess Interuppted but it will add some insight to a few of the characters and the reasons they act the way they do. I read it after I read Goddes Interrupted and I wished I'd read it first. I loved being back with the characters that Aimee has created. I find them to be wonderfully flawed and really enjoyed getting to know them better. I even enjoyed getting to know the ones I don't like very much. I enjoyed spending time in the Underworld. Persephone- I have a serious love/hate relationship with this woman. I could probably put her in the like column as well. I guess I'm still undecided about her. Kate's inferiority complex. I wanted to smack her and yell "Snap out of it!" multiple times throughout this book. If she doesn't get a backbone soon she's not going to survive in the Underworld. The OMG-did-that-really-happen cliffhanger ending. This cliffhanger packs a one-two punch. One of twists I saw coming, the other I didn't. I may have said a few not-very-ladylike words when I finished the book. The things that don't go well are necessary and the moments that do go well make it all worth it. Overall I thoroughly enjoyed this book. I'm really looking forward to The Goddess Legacy and The Goddess Inheritance. AMEN TO IT ALL!! I read the whole thing in one day (obviously since it came out Tuesday) I wanted to cry when Henry was being such a jerk!.